Distressed homeowners who are falling behind on their mortgage payments often have two options: Sell their home quickly or have their home foreclosed by the lender. If you have the cloud of foreclosure looming over your head, what is the best way to stop it? If you try to negotiate with the lender on your own, more often than not, they won’t listen. If you hire an attorney, it will end up costing more than you can afford, and the results might not be exactly what you were hoping. So, what other options do you have and how should you approach the situation? 1. We can help at any stage of the foreclosed home for sale process. It is never too late; even if you are in the last stage of the foreclosure process, we are here to help. We have a team of highly trained and licensed professionals who understand how foreclosure sales work, and know how to talk to the lenders and banks on your behalf. From selling your house fast for cash to negotiating loan modifications with the banks, we can help you implement the best solution for your particular situation. 2. We can help you avoid foreclosure, and protect your credit. The best way to avoid foreclosure is to sell your house. Selling to cash buyers, like us (We buy any house for cash! ), provides you with a quick solution to a major problem. Remember, foreclosure negatively affects your credit and stays on your credit file for years, which will make it very difficult to find another home or take out another loan. 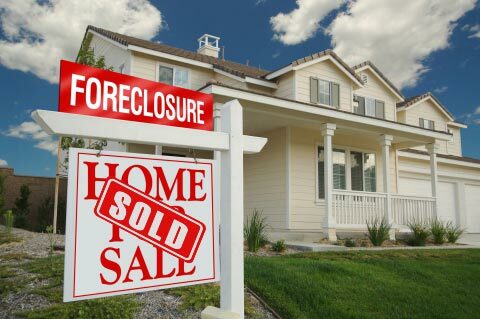 If you sell your home to us, you can avoid the stigma of foreclosure from following you into the future. 3. We will negotiate with the bank on your behalf. Our team of agents and attorneys have years of experience in foreclosure sales. If you choose to work with us, these experts will negotiate with the banks on your behalf to ensure that you are being treated fairly and not being taken advantage of. If you have no equity or your home is worth less than you paid for, we can still help you avoid the foreclosure process. We can help you put your soon-to-be repossessed house on the market for sale in no time; we know what to do, how to list it and we may even buy it from you. If you need help, if you have received a notice, or if you are falling behind on payments, give us a call so we can discuss the options available to you. Ready To Move On? Contact Us To Learn About Your Foreclosed Home For Sale Options!